Are you looking for Central AC Repair in Bergen County, NJ? 1st Choice Plumbing, Heating & Drain Service is a licensed, bonded and insured AC repair company in Bergen County, NJ, specializing in a wide array of AC repair for homes as well as Commercial Central AC Repair. 1st Choice Plumbing, Heating & Drain Service is known to be a prompt, courteous and professional AC repair company and has been assisting many clients restore and maintain fully functional air conditioning systems for over a decade. During New Jersey's humid summer months, disruption of the air conditioning system could cause discomfort, hurt productivity and affect your quality of living. If you notice that your AC unit isn't performing at optimal strength, or isn't functioning at all, do not panic because 1st Choice Plumbing, Heating & Drain Service is here to help. AC problems could happen to anyone at any time. When you suspect an issue with your AC system do not hesitate to call 1st Choice Plumbing, Heating & Drain Service. We offer a free Central AC Repair estimate in Bergen County, NJ and we will be more than happy to assist you with our prompt 24 hour AC repair technician. Our AC technicians are available around the clock. We understand how stressful it can be to live without air conditioning on a hot summer day, which is why we will be at your location within 45 minutes to provide you with the AC repair services you need. Our AC repair technicians will restore function to your AC system with a guarantee on all our AC repair services. 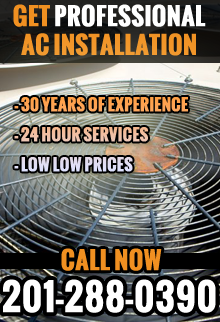 Our experienced AC repair technicians will make the AC system repair and restore your quality of living without delay. We have the skills, equipment, and experience needed to get your AC unit up-and-running again!